The Jonah Center has learned that 3.63 million gallons of raw sewage spilled into the Connecticut River between 1:10 a.m and 7:10 a.m. on Monday, October 30, from the Mattabassett District wastewater treatment plant in Cromwell. On a difficult-to-find section of the CT DEEP website, this spill was reported as a “bypass event” caused by “excessive flow/storm event.” As far as we know, there was no public notice issued to warn the public of this event. We will be seeking more information about this spill and inquiring about the frequency and volumes of other spills from other nearby plants, as well as the reporting and public warning requirements. This large discharge of raw sewage into the Connecticut River is alarming in itself, but even more so because it appears to be a surprisingly common event, according to our partner organization Rivers Alliance. For example, on October 9, 2017, 5 million gallons of sewage spilled into the Naugatuck River at a time of “near record low water levels.” The spill was caused by a 5-hour power outage at the Waterbury sewage treatment plant. 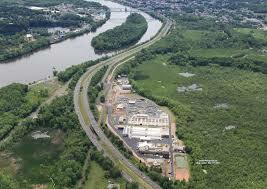 The result: 40% of the liquid in the river downstream of the spill was sewage. 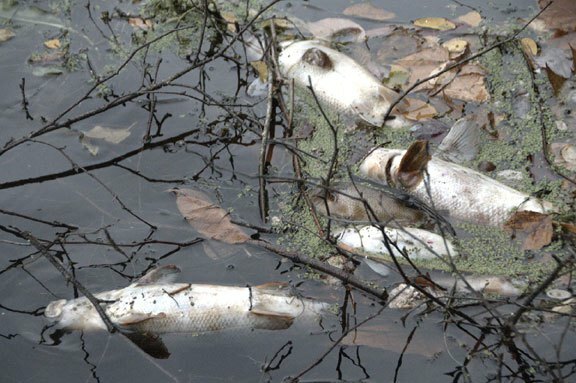 The public was not informed or warned of the event until 10 days later, in spite of the powerful stench and obvious fish kills (see photo). Animals that feed on fish were also harmed. Clearly, this is an area where the public needs to be better informed, and where we need to speak up, to reduce the frequency of sewage spills into our waterways. We join other organizations like Rivers Alliance in demanding more transparent reporting and public warnings when spills occur.